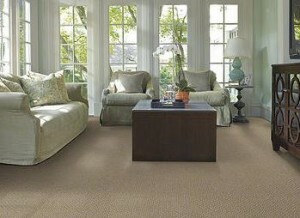 Our Oregon City Carpet comes in a variety of different types: each one has its own advantages and style. Bringing back the 70′s! This is the loosest type of carpet fiber to create a more modern shag type of carpet. The most expensive of all carpet fibers. It is very durable, “green”, and soft, but usually double or triple the cost of the more common types of carpet fibers and cost prohibitive for most people. This fiber is considered by industry experts to be the most durable for foot traffic. It is soft and comes in a large variety of styles and colors.Since nylon is a fiber, it is prone to stains. To combat the stains most of the nylons that we sell are treated with an R2X stain treatment system. R2X is a stain treatment that encapsulates the entire fiber and backing. When a stain occurs it beads up like mercury and you can use a wet paper towel to blot it up. When you are finished, even if you have a light-color carpet, you will see no remnant of the stain at all.Most of the Nylon carpets that we sell carry a Lifetime Pet Stain Warranty. When constructed in a Continuous Filament Platform this fiber is a nice “bang for your buck” alternative to nylon. 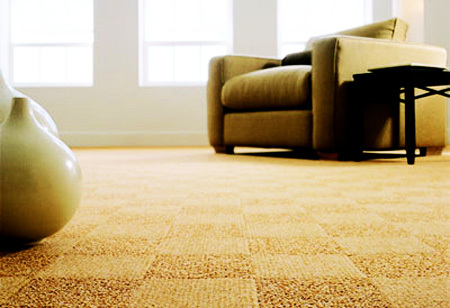 You will get more carpet for a better cost. Most of these carpets are made with recycled beverage bottles so they are “green” and inherently stain resistant (ever see a stain on a soda bottle?). Even so most of the Continuous Filament Polyesters that we sell are treated with a stain treatment for extra stain protection. A carpet that is made a color instead of white and then dyed. Because of the way it is constructed your color selections are limited, however if you can find a color that you like within the available color lines, this carpet is one of the best values on the market today. It is almost stain proof, UV resistant, made with very little oil (less dirt build up), color fast, “green”, and all for less than the cost of comparable products. A great choice for anywhere in your home. A glorified polyester product that is manufactured exclusively by Mohawk. It is naturally stain resistant, but not treated in any way with stain blockers. A basic carpet fiber made from plastic that is very stain resistant but not as soft as some of the other fibers and will crush faster.